No. 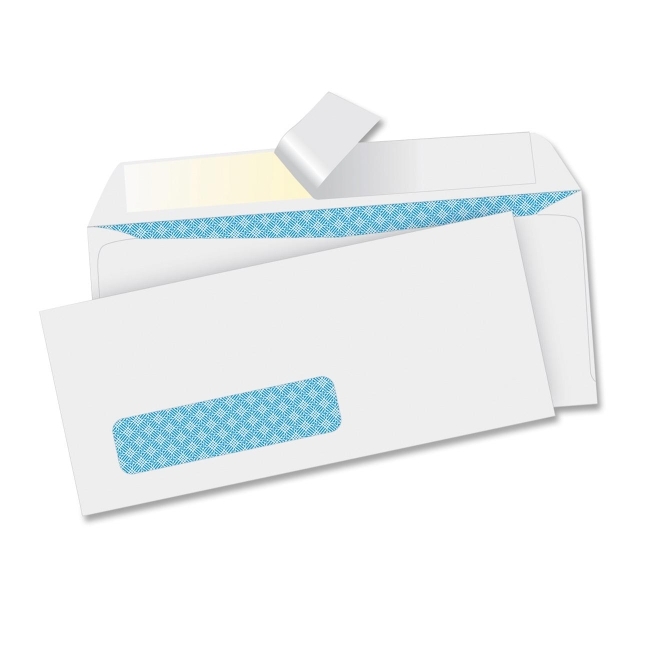 10 envelopes with a window require no moisture to seal. Simply peel back strip and fold closed. Protective strip keeps adhesive free from dust. 1-1/8" x 4-1/2" window is positioned 7/8" from left and 1/2" from bottom. No. 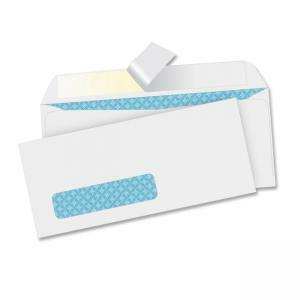 10 envelopes are security-tinted for privacy of contents and made of 24 lb. white wove stock.